1) This is the first World Cup to be staged on African soil. And while part of his reasoning for doing so is questionable, FIFA President Sepp Blatter deserves credit for trying to make football a truly global game. The potential for positive progress is huge. If the World Cup suceeds in Africa, it can not only generate a worldwide feeling of goodwill towards the nation, but bring more tangible benefits. Investment, sporting and non-sporting, is needed for a country that is still bedevilled by a combination of HIV, crime, and economic inequality. If South Africa can show the best of themselves, it could be a momentous time in the region's development. But the worry is that Blatter has tried to do much too much, too soon. While he is trying to spread the word of football far and wide, his motivations are not purely altruistic. Blatter has an eye on the Nobel Peace Prize, for bringing the world together through football (I guess he figures that since Barack Obama got one, they're easy to get hold of). In his desire to be seen as a pioneer before he retires, he may have given South Africa a level of responsibilty that they're not yet ready for. Blatter is like a mother bird that has pushed its youngest child out of the nest. I dearly hope that South Africa has the wings to fly and carry football's showpiece occasion on its back. 2) Everyone loves an underdog, especially in Britain. South Africa are huge underdogs to impress at this World Cup. Despite home advantage, avoiding elimination from the group stages would be a magnificient achievement. In 2002, one of the stories of that World Cup were the co-hosts, South Korea, reaching the semi-finals. Despite being assisted by some very dubious refereeing decisions, the fervour that took over the country was wondrous to behold. And how splendid it would be if the same could happen to the South Africans. One of my favourite sporting memories was the Rugby World Cup in 1995, also held in The Rainbow Nation. Watching the Springboks win in front of a rapturous home support was incredibly uplifting, much more so than was documented in the Clint Eastwood film, 'Invictus'. But this does come with a caveat. I don't want to see the 'Bafana Bafana' succeed due to luck, uneven refereeing, or bending the rules of sporting acceptability. If South Africa can't raise their level for the World Cup, then they deserve to be swiftly eliminated. Logic dictates that this will be so. But what a wonderful story it would be, if they could produce a quality that they themselves didn't know they had, and make the tournament a greater spectacle as a result. 3) With days remaining till the Opening Ceremony, the sniping towards the host nation from the British punditocracy has already begun. Specifically to do with the vuvuzelas. The vuvuzela is a plastic horn, used by many of the home support in and around the stadiums. During a game the sound emitted by the thousands used by fans is not too dissimilar to a hoard of swarming bees. Well, it seems that people on these shores don't care much for the vuvuzela, regarding it as a silly, infantile annoyance. Tough. Last time I checked South Africa were the hosts. If you go to a party and don't like the colour of the carpets, you are perfectly entitled to disapprove. But it takes some nerve to publicly complain while sampling the rest of the delights on offer. So here's a message for you complainers; shut up or go home. From what I gather, the organisers aren't too bothered about the vuvuzela dissenters. Good, the party's going to continue whether these killjoys are around or not. And the most laughable complaint I've now heard is that the noise from them is so great that the coaches will struggle to get their instructions over to the players, while the players themselves won't be able to hear each other during a match. Have you ever heard such twaddle?? Been to a game in the UK recently? Trust me, South Africa are hardly the last bastion of noisy atmospheres when it comes to football. Yet in Britain, it's called passion when a crowd can be heard bellowing, "You're getting sacked in the morning" at an opposition manager. If "Who are ya, who are ya" is fine, then so is the vuvuzela. 4) I always dread the saturation of football adverts during the World Cup, but by the gods of commerce, those minions of Satan - sorry, I mean advertisers - have outdone themselves this time around. Two in particular have raised my ire. Carlsberg have used their "If Carslberg did..." series of adverts to ostensibly inspire the England side to victory. As well as roping in a series of ex-British sportspeople of renown in cameo appearances, the voice-over artist uses a bunch of phrases that are meant to be rousing, but are as vacuous as the world of advertising itself. Imploring the England players to "stand tall" and "show bottle". Good Lord, I hate terms like that. Reductive tosh that doesn't actually mean anything. But what disgusts me more than all of that is the use of the recently deceased ex-England boss, Sir Bobby Robson in the commercial. The man's corpse is barely cold and he's being used to sell lager to the nation. Just beyond sick. 5) And to be honest, while I hope that England defy the odds to succeed, it may not be the worst thing if they were to be eliminated early. Not for the domestic economy of course, or even for the mood of the country. But remember it's the World Cup, and is bigger than our own understandably selfish hopes. One of the best international tournaments of them all was the European Championships of two years ago. Euro 2008 was an absolute joy to watch, and I think England not qualifying contributed to that. Not only did it mean that those who weren't fans of the sport could avoid being dragged into being part of a game they don't even like, but the television & print media actually had to focus on football for a change. Rather than devote attention to suspect metatarsals, pub opening hours, England flags flapping out of car windows, the WAGS and what David Beckham's latest hairstyle is, they did what they were paid to do. And those who genuinely like the game were richly rewarded. The football was expansive and entertaining, and the side that performed the best even went home with the trophy. It was the best international tournament of my lifetime. 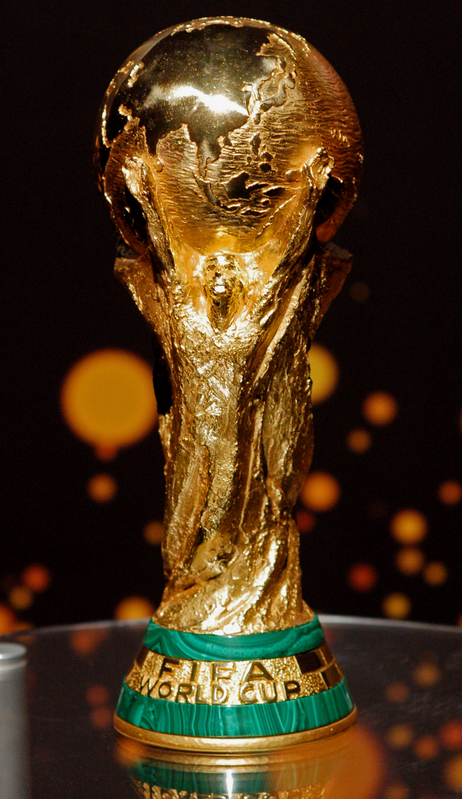 I'd settle for this World Cup to be half as good. 6) A combination of coaching incompetence and sheer cruel luck means that we'll be without some of world football's bigger names in South Africa. I understand why some have bemoaned this fact, but the flipside is that it gives the chance for fresh names to project themselves onto the football psyche of the planet. In the aforementioned Euro 2008, Russia's Andrey Arshavin went from being a key cog in the Zenit St Petersburg side that won that year's UEFA Cup, into one of football's most sought-after names. Producing your best at a major tournament can catapult you into the big time. And while we should feel emapthy for the likes of Javier Zanetti, Karim Benzema and Michael Essien, it means that this is an opportunity for others. Steven Pienaar, Mesut Ozil, Marek Hamsik, Luis Suarez, Alexis Sanchez, are you listening? This could be your time. It'll be someone's. Maybe the most exciting thing leading up to The World Cup is that we stand on the cusp of the beautiful game's grandest stage. The opportunity for football immortality is there. I look forward to see who will grab the occasion and make it theirs. Don't forget to download 'The Greatest Events in Sporting History' Available at http://sportsevents.libsyn.com/, e-mail us at sportshistoryshow@googlemail.com and you can follow us on Twitter @TGEISH.